Dr Choblet said: “What we show is hydrothermal processes probably provide means to have efficient interactions between rocks and hot water in a large volume deep within the moon. 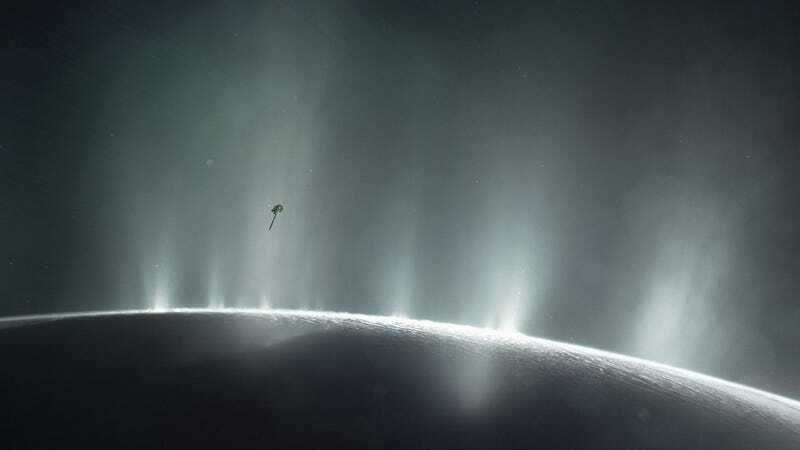 Dr Choblet, of Nantes University in France, said: “Only future missions equipped with instruments capable of analysing the organic molecules in the plume with higher accuracy than the Cassini measurements will tell us whether the required conditions have been sustained long enough for life to have emerged on this distant ocean world. 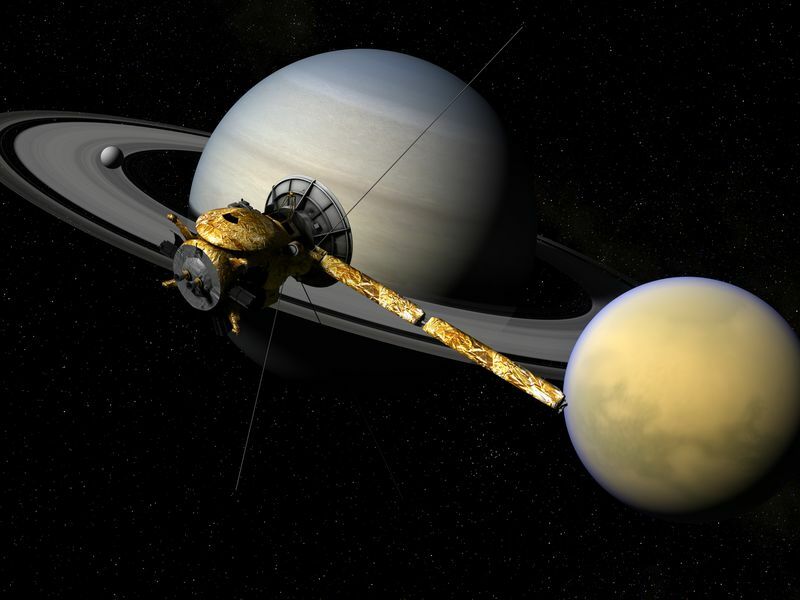 Projected missions back to Enceladus are currently under consideration – especially in the US. 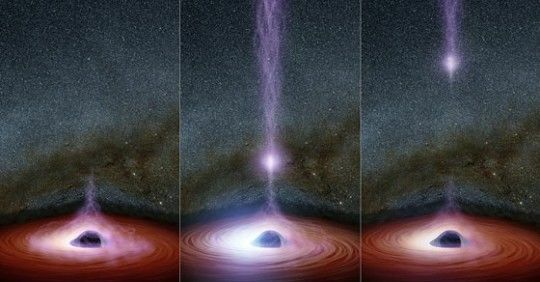 In October 2015 NASA sent Cassini into a deep dive through one of the plumes of spray which shoot up into the atmosphere through cracks in the ice, and discovered hydrogen and carbon dioxide. Scientists are certain they were created by reactions between warm water and rocks on the ocean floor. Crucially, if hydrogen is present it can mix with carbon dioxide to form methane, which is consumed by microbes in the deep, dark seas of our own planet. 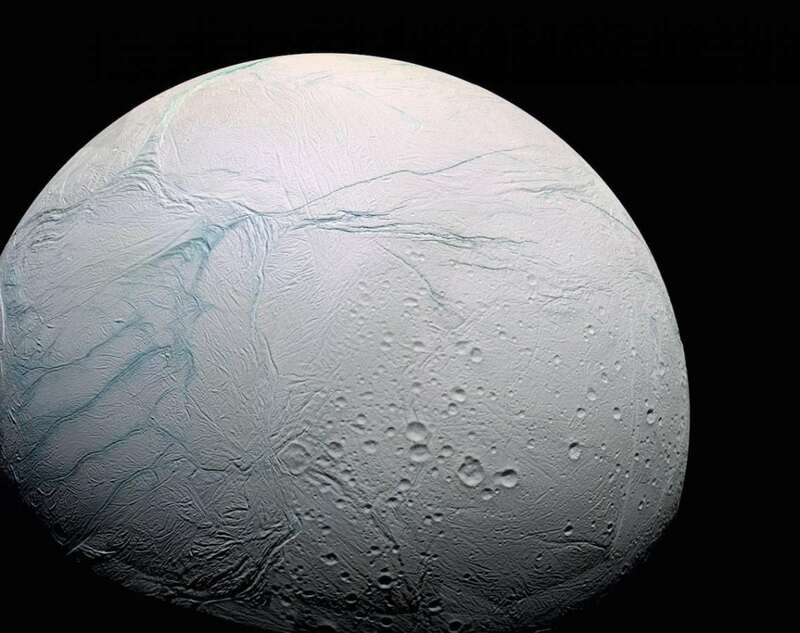 Enceladus is the sixth largest moon of Saturn. Dr Choblet said: “Chemical analyses indicate that the ocean is salty and is fed by ongoing hydrothermal activity. Here, we show that more than 10 GW of heat can be generated by tidal friction inside the unconsolidated rocky core. 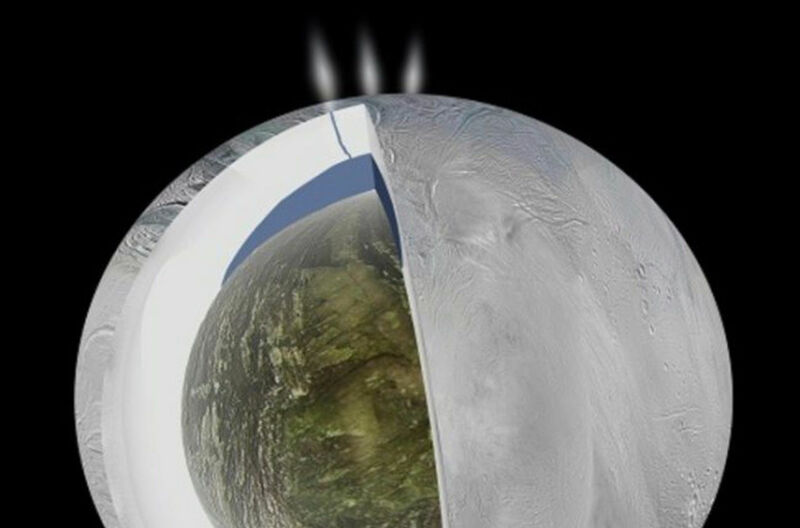 Water transport in the tidally heated permeable core results in hot narrow upwellings with temperatures exceeding 363K (90 degrees Celsius) characterised by powerful hotspots of 1 to 5 GW at the seafloor, particularly at the south pole.” Recent data from Cassini has shown that at the south pole, it could be as little as three miles deep. er , me ?? hell its cool and all , but wtf has it got to do with the price of rice in China ??? Oh , is that racist ?? I don't think so , wasn't meant to be . So Saturn may have a civilization run by squid . Yawn . 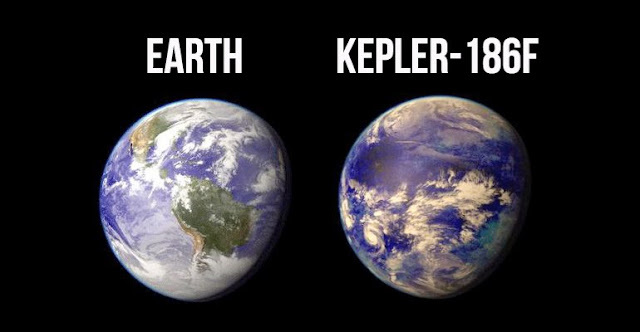 Call me when you find a planet run by Victoria Secret models.. Cool. It's a tiny planet. Let's find something bigger we can ruin.